The Charleston Maritime Center is still not fixed from hurricane Matrthew! The marina here has a courtesy car which you can sign out for 2 hours at a time. We took advantage of that to get some last minute groceries which included ice cream, of course. There was a small Harris Teeter nearby and it had everything we needed. 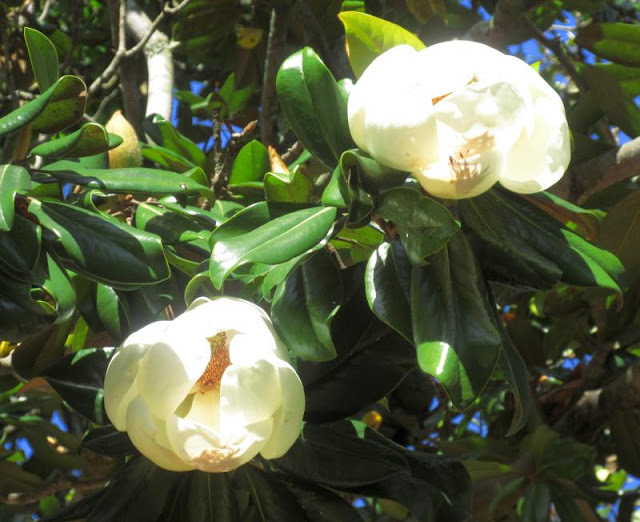 The magnolias are in bloom. A tree full of blossoms makes a stunning sight. The marina has excellent washers and dryers, four of each and at a cost of only $1 a load. Since we had two weeks worth of laundry, it was a perfect match. Next up was an attempt to add friction to the wildcat (the part of the windlass that engages the rode) on the nylon rope. I had bought a new rode this year and it was infused with a water repellant to increase lifetime and decrease wear. The repellant also had the effect of making the nylon part of the rode very slippery, so much so that it kept slipping in the wildcat when pulling up the 3/8" chain (before the chain could engage the wildcat). So I tried applying a non-slip coating to the wildcat and we'll see how that does at our anchorage tomorrow. 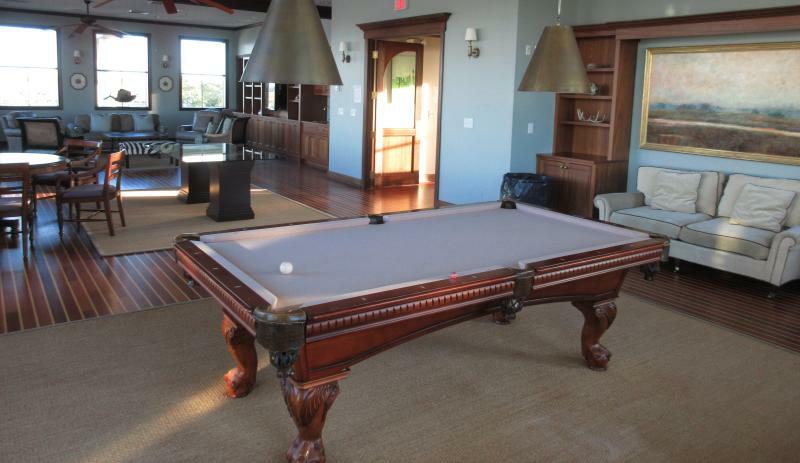 Wow, a full sized pool table. I played a lot during my youth but pool tables have become hard to find. St Johns Yacht Harbor had a surprise. There are two levels to the dockmaster's house. I found out that the upper level is devoted to a Captain's Room. It has nice chairs and a TV but what made my day was the full-size pool table. Had I known it was there, I would have played many racks and probably would not have gotten much done on the boat. Oh well, maybe next year. We will leave around 8:30 or so to make the 10:00 opening of the Ben Sawyer bridge which only opens on the top of the hour on weekends. It's on demand during the week. It will be a rather short day with our anchorage at Awendaw. I wanted to make the McClellanville run with a rising tide the next day. Then it's on to Georgetown and points north.